Made in a Greek colony in southern Italy. Side A: Large female head left, between two sprays. 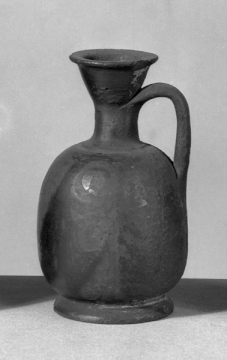 A lekythos is a Greek pottery vessel used for storing oil, especially olive oil. It has a narrow body and one handle attached to the neck of the vessel.